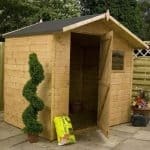 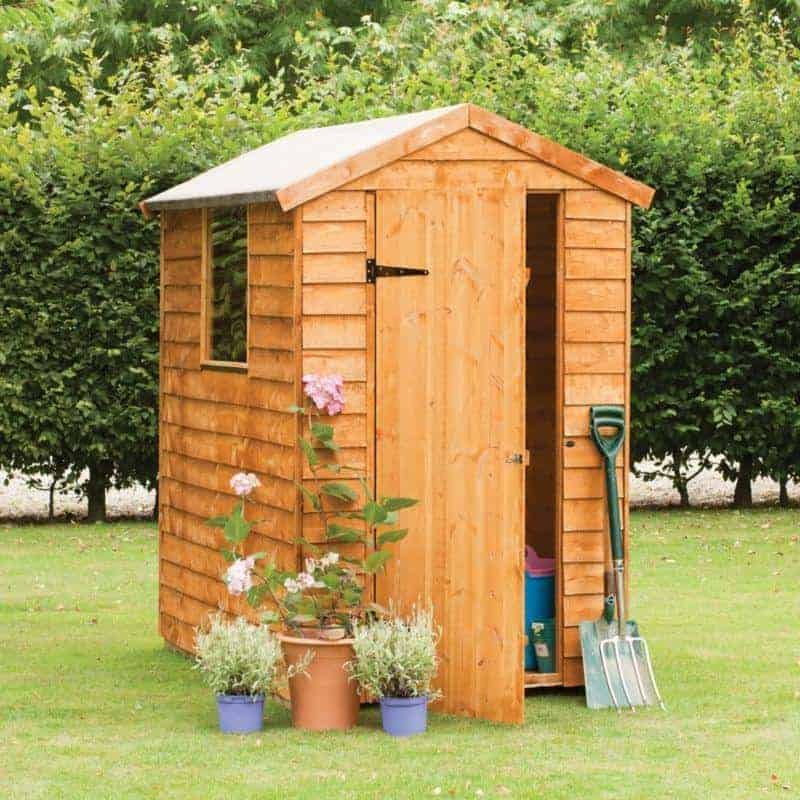 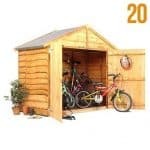 This is a handsome, compact apex roof shed which is constructed from 8mm overlap wooden boards for strength and durability. 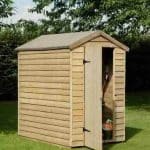 It has a styrene window at the side and a door with fair storage space inside. 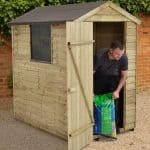 It is ideal for garden equipment, toys and furniture storage and will look great in any outdoor space. 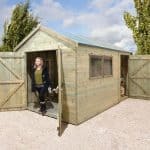 It comes complete with a 10 year anti-rot guarantee which means that it will last for many years. 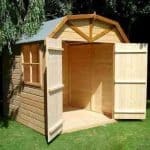 For your complete convenience this shed comes delivered with base.